Penny Summers thinks she knows what’s heading her way: Logan Collins, the boy of her dreams – quite literally. But what she doesn’t know is that Logan will bring with him a dark legacy that will unlock secrets from her tragic past. Can Penny outwit the dangerous magical forces threatening to pull her and Logan apart before they even meet – and before she has a chance to put her broken life back together? 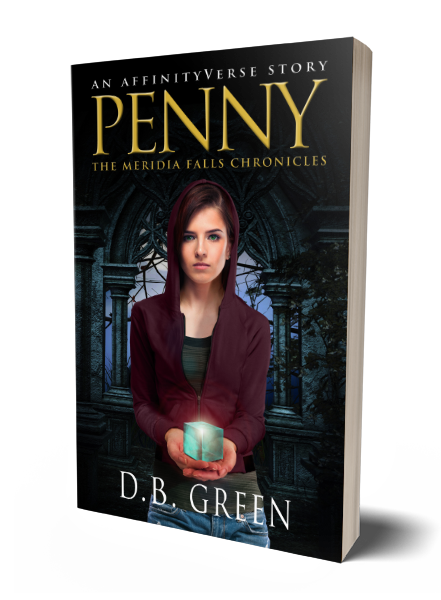 Find out in this thrilling prequel to The Meridia Falls Chronicles. THIS PREQUEL IS AN EXCLUSIVE FREE BOOK JUST FOR D.B. GREEN’S READERS’ GROUP. IT IS NOT AVAILABLE ANYWHERE ELSE!